Two months ago, I swam in the warm waters of the Caribbean. 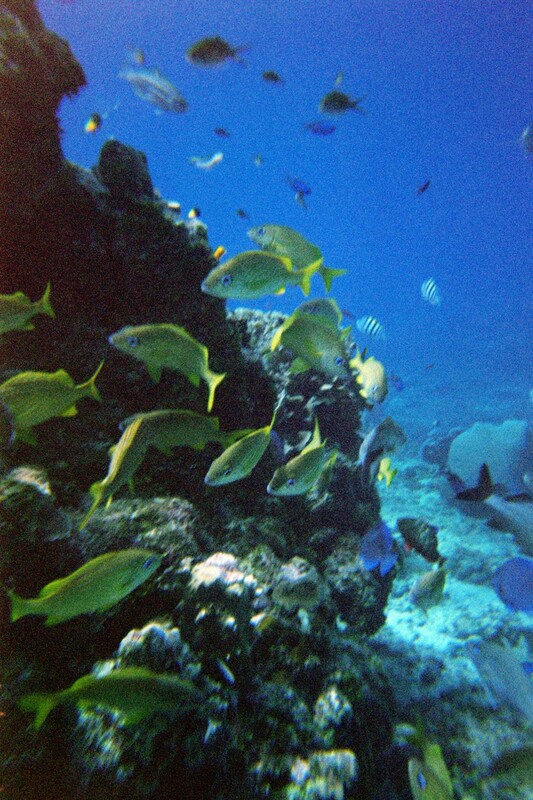 With my beloved husband, we explored the fine snorkeling and swimming along the interior of Cozumel’s coral reefs. The water was warm. The fish were colorful and plentiful. The place was peaceful. It was bliss. When I came back up, my ear felt full of water. Since I was in the middle of the ocean, I took no notice. But when I got out, later, and toweled off… it still felt full of water. Dinner passed with an earful of water. I googled how to clear my ear before bed, and laid on that side that night expecting to wake with a wet pillow and clear ear. I did not. I googled more. Barotrauma seemed the most likely option. It clears up on it’s own after a few weeks. I slept again on my left side and resolved to see my PCP when I got back if it was no better. By the time I hit cold New England, the sense of water in my ear was gone, but the ringing and deafness remained. I saw my PCP. She shrugged. “Here’s a referral for a specialist if it doesn’t clear up in the next six to eight weeks.” Given permission to ignore it, I ignored the tinnitus and ringing as much as possible – a discordant chord always in my ear. It sounded as though I was always under water. I couldn’t hear very well through my left ear. But the internet and my own doctor agreed it would likely clear up with time. Spoiler alert – my PCP was WRONG. Well. Who knew that snorkeling was so dangerous? Or so safe that you think this hearing loss that I can trace to the moment I emerged from those sparkling waters might be correlation, not causation? The loss I had was permanent, she said. Maybe, if I’d come to her right away, they could’ve treated with steroids. With a few months distance, all she could do was make sure there was no underlying cause that might lead to more hearing loss. 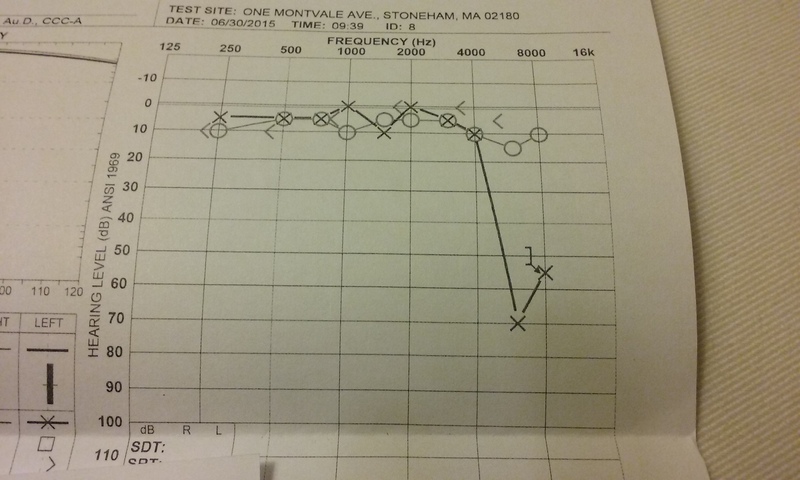 I have lost all my hearing above 4000 hz in my left ear. I have trouble, now, hearing a conversation in a crowd – like an old woman. At least the discordant ringing will likely slowly slowly over great time fade and disappear, she says. Likely. Who needs 4000 hz anyway? That’s higher than a piccolo. Few sounds I want to hear are in that range. And my right ear can still hear it if I’m determined to listen to dog whistles. It chirps sometimes, like a little bird in my ear. I decided to comply and go in for the MRI. I confess to being slightly non-plussed that they saw me within a week. I prefer to think of this as a little thing. A mild inconvenience. I went into the same MRI tube – not two blocks from my house – that diagnosed my left knee as appallingly damaged instead of sprained. 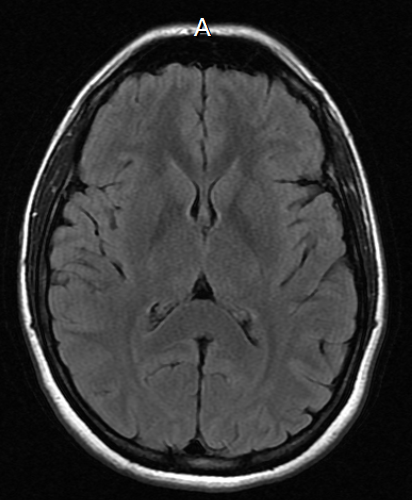 Knowing they were taking pictures of my brain in that dark tube, I walked last summer’s Wonderland Trail trip in my mind’s eye as the beeps and tones of the MRI watched my brain light up. I haven’t heard from my ear doctor yet. I suppose that complaining about how soon they got me in for the MRI I should be relieved at how long it’s taken them to call me back. But, surprisingly, it’s a wee bit stressful when someone MIGHT at any moment call and tell you that you have brain cancer. Usually that call is impossible, but right now… it could happen. (Even though it really won’t happen.) So I wait for them to tell me what I already know – I sacrificed 4000+ hz in my left ear to Neptune, leaving it as an offering among the swirling schools in the bright corals of the bright island of Cozumel. 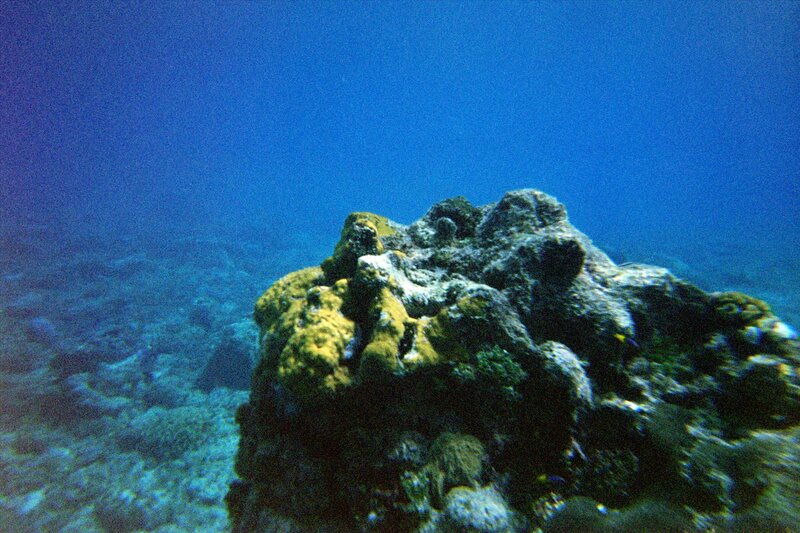 Here are the pictures from the underwater cameras that urged me to go deeper into the water to capture the glory.